Our training methodology has been honed to a precise art owing to years of research, experimentation and a constant drive for self improvement. We are truly passionate about our craft and are dedicated to support others in their quest for development. Our concept revolves around exercise that delivers results in the most efficient and enjoyable manner possible allowing you to maximise your time in Phuket doing whatever else it is you love to do. We have adopted and designed a variety of training systems that we can scale to suit any fitness level with any injuries accounted for. All of our sessions have a specific outcome in mind with the overruling one being to have fun while working out. If you enjoy the process and understand the reasons for a specific approach then it will quickly become habitual. When something becomes habitual and is executed correctly, success is guaranteed. The energy from training in a group environment is addictive, the hardships of finishing a tough session become easier to tolerate when you have people around you that are supporting and motivating each other. If you prefer to workout alone then our trainers will be able to generate a training atmosphere which will result in your most successful workout to date. Once a session has been completed the euphoric sensation you receive gives you clarity of mind and a supreme confidence in what your body is capable of. You would have earned the right to be proud of your achievements. By the end of your fitness holiday with us this belief coupled with the learning and training tools we will provide for you will result in something truly life changing. Increased bone density. Due to age related factors, inactivity and often poor nutrition bone density can decrease at a rate of 1% per year after 40. Weight training will dramatically reduce this. Just 3 full body strength training sessions per week utilizing 3 lifting sets per muscle group was shown to improve muscle mass by 2% in just 8 weeks. Performing both aerobic exercise (activities that use large muscle groups, can be maintained and are rhythmic in nature) and anaerobic exercise ( intense physical activity of very short duration) have unique and collective positive correlations towards improved Cardiovascular health. Lower limb strength increased by an average of 24% while upper limb by an average of 14%. This was achieved by both male and females of varying age ranges. Improved mental well being. Regular exercise can have a profoundly positive impact on depression, anxiety, ADHD, and more. It also relieves stress, improves memory, helps you sleep better, and boosts overall mood. Training Paradise workouts are the culmination of many years in the gym and studio. Experimentation, experience and 1000’s of hours of analysis have been refined into 1 hours worth of exercise that will build better bodies, invigorate the mind and uplift your senses. This session is designed to give you the practical skills required to perform weight lifting exercises with proper technique. You will be lifting weights that are tailored to your current strength level. Bodyweight and equipment will be used to perform a number of movements including Barbell Deadlifts, Presses, Squats and Rows, TRX functional training exercises and Kettlebell flows. 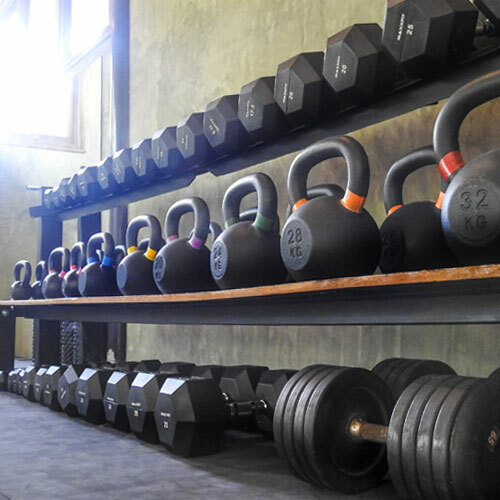 These sessions will be progressed with the weights you lift increased throughout your fitness holiday and a training plan will be built containing everything you need for successful continuation when you leave us. Strength is an unshakable pillar of optimal performance. This workout is geared towards cardio based training with an element of strength endurance. A dozen stations will be laid out and can be completed in any order you wish. Your total completion time will be recorded as well as the sequence you chose. Throughout your holiday day we will work to improve your completion time and experiment with the exercise order to highlight your strengths and underline any potential weaknesses which we can then work on. Power is harmonised by equal parts strength and speed. This class triangulates our training system. Now we’re Strong, Endurable and Powerful. Using exercises to enhance our power output will boost all other areas of fitness. Using exercises such as Kettlebell Swings, Med Ball Slams, Barbell Cleans and Box Jumps this session will fire up the synapses of the brain and ignite your muscles into new found performance. Our signature class really does represent "training in paradise"
Set in a variety of stunning locations no session is the same. This is how good it feels to get fit on a tropical island. If the session starts to feel tough, a glance at the turquoise waters, lush mountainsides and grand vistas will give you the energy you need to continue and upon completion we will have ample time to immerse ourselves in this truly breathtaking environment. The most striking observation of our Muay Thai trainer is just how friendly and patient he is. Muay Thai training sessions are distinctive due to the vocal accompaniment that comes with every punch and kick. You’ll laugh and sweat in equal measure and as your technique becomes more refined and your capability to chanel power grows you’re self assurance, self discipline and your capacity to deal with stressful situations will all follow suit. Our mental state fuels our emotions and our bodies reflect those emotions. Yoga allows for a diverse range of physical and mental benefits. The relaxation techniques used can help lessen chronic pain, reduce blood pressure and alleviate insomnia. It will assist with athletic performance and protect us from injury. Yoga’s incorporation of meditation and breathing can help improve a person’s mental well-being. Practiced both within the gardens of the villa and at a local beach this class will create a link back to everything else we do within our timetable.